Based on one of the biggest blockbusters in cinematic history, Jurassic World: The Exhibition is set to open its gates at the acclaimed Field Museum in Chicago, home to one of the best dinosaur collections in the world, on May 26, 2017. 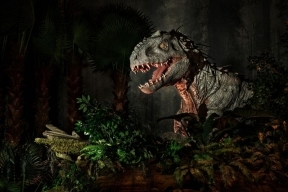 The Exhibition immerses audiences of all ages in settings inspired by the groundbreaking film franchise Jurassic World, blending real-world science and education with the very best in high-quality entertainment. This summer, not only will visitors be able to see real dinosaur fossils at The Field Museum, they will be able to imagine what it would have been like to walk among these breathtaking animals. 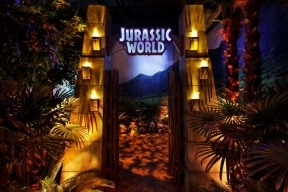 Guests will walk through the world-famous Jurassic World gates to get up close to the towering dinosaurs, some more than 24 feet tall, and explore the Park through a specially guided tour. Once onsite, visitors will experience the family-friendly Gentle Giants Petting Zoo; step behind the glass into The Hammond Creation Lab; get a special preview of Jurassic World’s top-secret project, the Indominus rex; and go inside the Raptor Training Paddock. Jurassic World: The Exhibition will be open seven days a week from 9am–5pm, and 5–9pm through Labor Day with Fall evening hours yet to be announced. Ticket prices are $10 for children and $15 for adults for daytime entry (9am–5pm) in addition to general museum admission and $20 for children and $25 for adults for evening entry. Jurassic World: The Exhibition will run from May 26, 2017, to January 7, 2018. 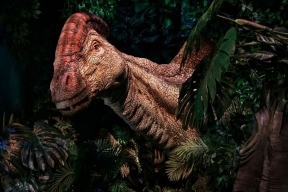 For ticket-sales information, head to www.fieldmuseum.org/JurassicWorld.